This awful...the whole thing continues to get worse for all involved. 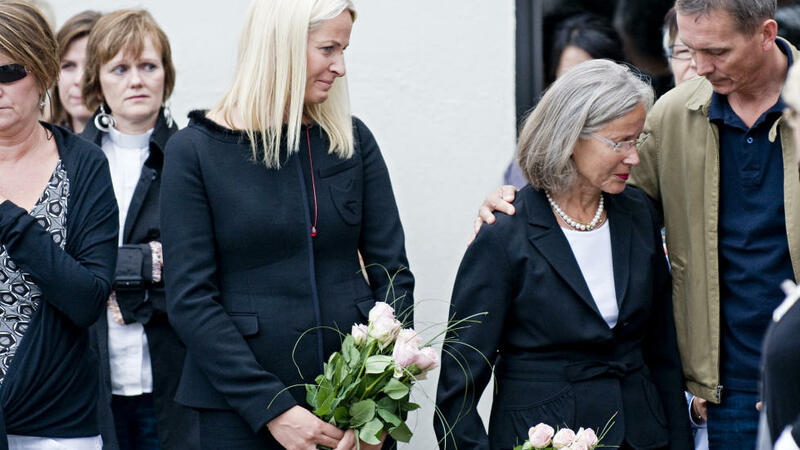 Mette-Marit attended the ceremony in Hokksund, hometown of her killed step-brother, together with her mother Marit Tjessem. That's really sad news. 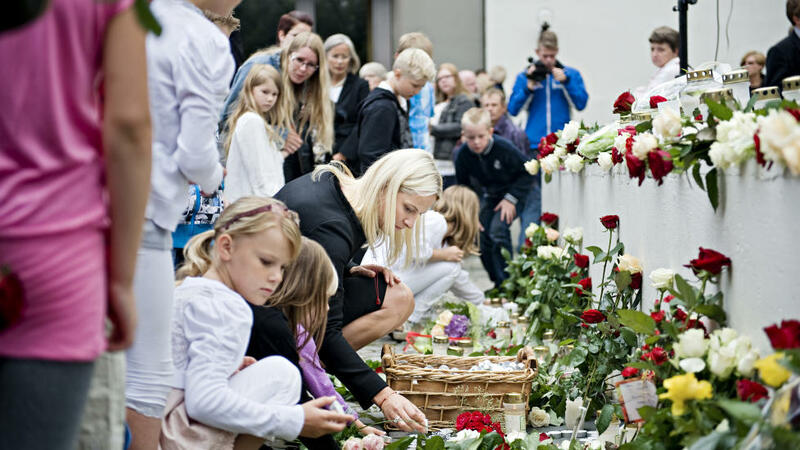 My condolence to Mette-Marit and all families of victims. In his statement today the gunman/bomber said there are more collaborators and more cells. I'm so sorry to MM, her family, and all of Norway. This whole thing is so awful and tragic. My condolences for all Norwegian people, really sad event. The terror attack in Norway is just so terrible and scary to think that one person is capable of destruction and the ability to do this awful thing I was born and raised in Norway and luckly my friends and family is all safe. 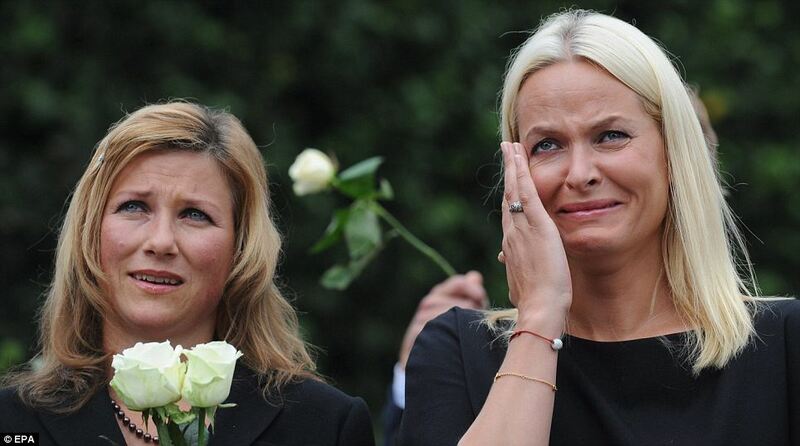 I'm really sorry for Crown Princess Mette-Marit, her family and the Norwegian people affected by this tragedy....Looking at these photos I'm feeling so sad. 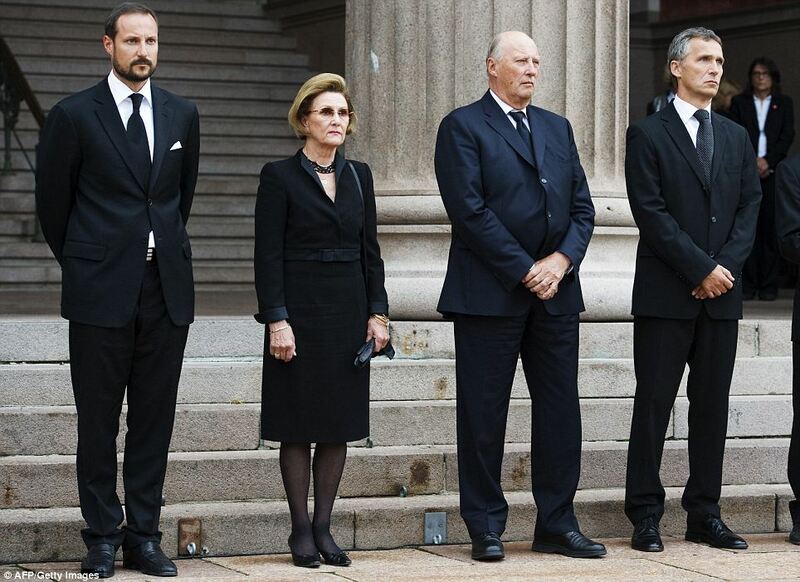 My condolences to Princess Mette Marit and her faimily, to the friends and families of the poor victims, and to our Norwegian posters. it's such a horrible event, what kind of mad person could think of doing such a horrible act. it's obvious he has mental problems. my heart goes out to the families of the victims of what such a perturbed state of mind can do. why are the journalist saying it was MM's half brother if they don't share either mother or father? did MM's mum marry the victim's dad after he had him? MM`s mum married Trond Berntsen`s dad in 1994. 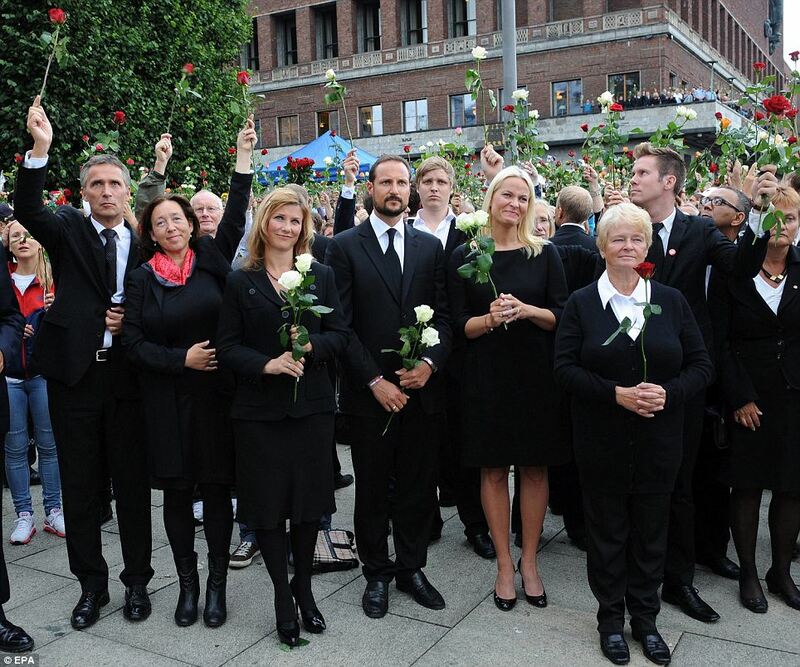 To the wonderful people of Norway, my condolences, my prayers, and my support to you all and your beautiful country. You will get through this in time. Time has a way of fading the pain in our hearts. Do not be afraid to grieve, to remember, to love, or to cry. I was devastated all night about this and then at around 2am I turned on the tv to our 24 hour news station and saw the memorials held in Canada and it made me feel a bit better. I wish there was one closer to where I live, I'd definitely go. In such circumstances, I can see how a monarch (plus family) in his representative function, can bring some human warmth to a tragedy such as this one.